When Emma Morano was born, Umberto I was still ruling Italy, Spain was just ending its reign over Cuba and in a tragic accident in London, Edwin Sewell became the world’s first driver of a petrol-driven vehicle to be killed in a road accident. 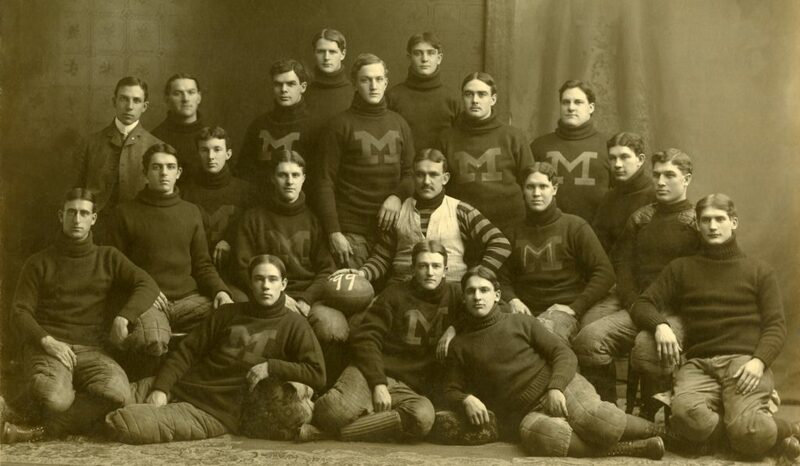 When Emma Morano was born, this is what Michigan’s football team looked like. Image via Wiki Commons. It’s always impressive how people who over 110 still maintain their clarity. Supercentenarians seem to be in a league of their own, without any major health issues well into old age, maintaining an enviable lucidity and springiness to themselves. Today, Emma Morano, the oldest person in the world, celebrates her 117th birthday, looking back on a life which has spanned across three centuries. While she has not left her two room apartment in almost two decades, she still gives interviews from time to time and enjoys talking to other people, telling them about her life. We don’t really know why some people live to such advanced ages. You’d think there should be some combination of genetic fortitude and a healthy, peaceful lifestyle. But Emma Morano’s life has been anything but peaceful. “My life wasn’t so nice,” she told Reuters TV as she sat in an armchair by her window, a white shawl over her shoulders. She did love a man, but lost him to World War I. After that, She went through an abusive marriage, born of blackmail and threats – not love. This was just the beginning of a troublesome time. Heartbroken after her child perished at only 6 months, she went on to live the rest of her life alone, even working until she was 75. In terms of health, she wasn’t really doing that well either. Her nutrition was highly unorthodox and she wasn’t eating many fruits and veggies – instead, she ate 2 raw eggs a day for 90 years. She took up this eating style after the doctor diagnosed her with anaemia shortly after World War One. A victim of domestic violence and with an overall tragic life, Emma Morano still puzzles doctors. As far as official data goes, she is the last person to be born in the 1800s and at least in terms of modern history, she can easily say she’s seen it all.